So quick and easy - perfect for a dinner party! 1. Combine pecans, mint, garlic, oil, and lemon zest in bowl. 2. Season the salmon liberally with salt and pepper, then spread mixture on top. 3. 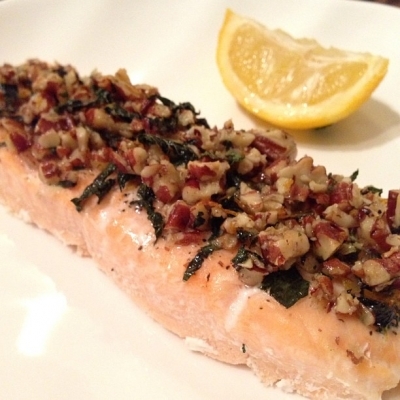 Bake salmon for approximately 15 minutes at 350.